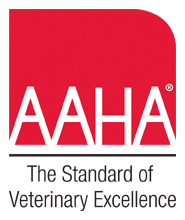 People who trust the well being of their pets to the Cherry Ridge Veterinary Clinic know about our strong commitment to providing state of the art care. Our belief is to treat your pet like it is one of our own. 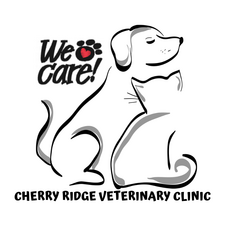 It should not be surprising that the Cherry Ridge Veterinary Clinic is one of the few facilities in this area to offer the safety and precision of laser surgery for your pet. LASER stands for Light Amplification by Stimulated Emission of Radiation. A laser is a device that generates a concentrated beam of light that can cut, vaporize or seal tissue. It is an acronym for light amplification by the stimulated emission of radiation. It has benefits for both the patient and the surgeon. The laser beam seals nerve endings as it cuts through tissue and reduces pain during and after surgery. Since it seals small blood vessels as it cuts, it provides the surgeon with a bloodless surgical field. There is no contact between the surgical region and the laser itself. This eliminates tearing of tissue and reduces swelling. The energy from the laser acts as an antibacterial agent by producing high temperatures and destroying microorganisms. This reduces the risk of infection. Reduced pain, bleeding, swelling and inflammation all contribute to a faster recovery for your pet. This is not some fancy procedure you cannot afford, rather a technological advancement you can't afford not to consider. At CRVC we include laser in all of our procedures. Less pain - the laser seals nerve endings as it "cuts". Your pet feels less pain post operatively. Less bleeding - the laser seals and cauterizes small blood vessels as it cuts through tissue during the surgery providing the surgeon with a bloodless surgical field..
Less swelling - the laser does not tear, bruise or crush because there is no physical contact with the patient tissue. Precision - the laser can remove unhealthy tissue without affecting the surrounding tissue. Reduced Risk of Infection - It kills bacteria in its path, making a sterile effect. Rapid recovery - less post-operative discomfort means more rapid return to normal routines. One example of the benefits of laser surgery is declawing your cat. With laser surgery your cat has no bandages because there is very little bleeding. The laser seals small blood vessels and nerves as it works and thus there is a significant reduction in pain to your pet. We employ laser use in all of our routine procedures and are thrilled with the results. Other examples are canine neuters, oral surgery, eyelids and other delicate facial features, and large tumor removals. Talk with us about other uses of the laser for surgical procedures. We are committed to providing the best possible treatment and most professional services to our patients and clients.